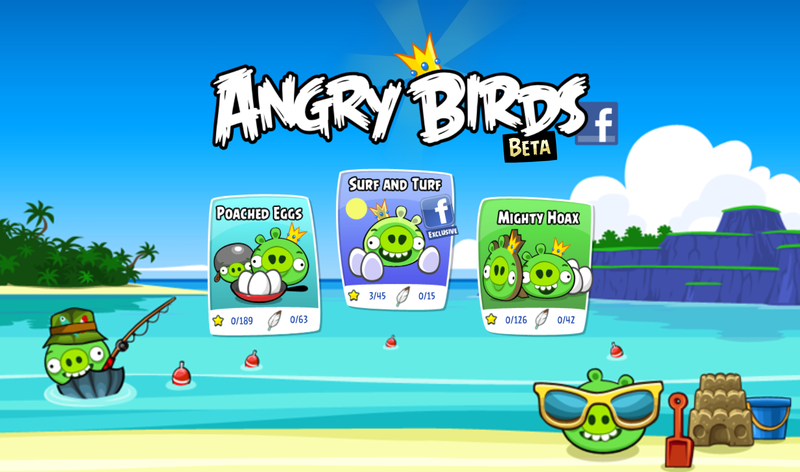 Rovio's Angry Birds is smashing into Facebook Timelines everywhere with Angry Birds Beta on Facebook. The popular mobile device game has arrived on the social networking site with new levels exclusive to Facebook, virtual prizes and the ability to send free gifts to your friends and compete for high scores. The Facebook version of Angry Birds also features four new power-ups beyond the game's famous Mighty Eagle that lets you win difficult levels with just one click. The social version of Facebook works just as fans of the popular game would expect and is somewhat similar to previous PC versions of Angry Birds such as the recently launched iteration on Google+. Instead of dragging your finger across a touchscreen, you use your mouse to launch your birds into those detestable green pigs. On the left side of the gameplay area there is a social column where you can invite friends, receive gifts such as power-ups, and buy extra power-ups using Facebook credits that you can also send to friends. You can also play the game in full-screen mode. 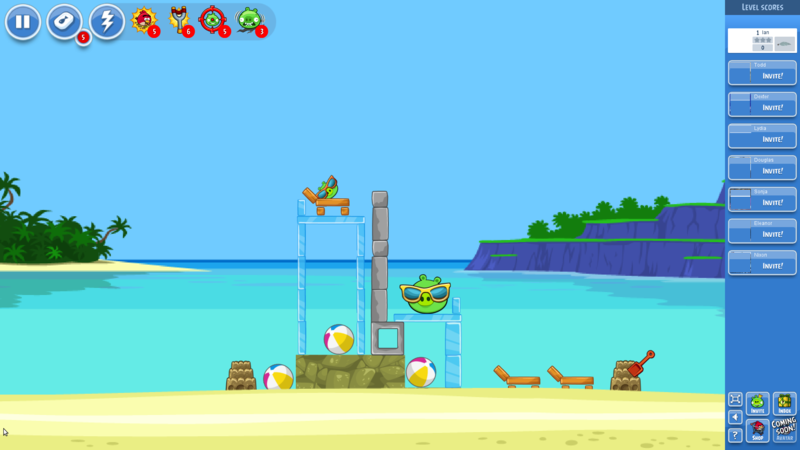 Angry Birds fans tired of launching the Mighty Eagle to clear a level quickly can choose between four new power-ups. The Sling Scope helps you pinpoint exactly where you want to send your next bird. Birdquake shakes the ground, bringing down the green pigs' defenses. Super Seeds turns your bird into a Mighty Eagle-sized monster. King Sling gives you extra flinging power and speed to do extra damage. Rovio is offering all Facebook users the chance to get 14 free power-ups if you play the game before Thursday and click on the red heart that says "Click Here For Your Valentine's Gift!"